Hey all was just playing around with my z10 that i installed the 10.3 leak. I normally play around with it before bed trying to find new features. The is definitely a lot to like. How ever I hate the white theme call screen. Any one notice if it's an option? I get where your coming from, but 10.3 was never designed for our phones. There will be lots of bugs. Just be happy we have 10.3 features ahead of the pack. I agree with this, hopefully there will be some options for manipulating the color and/or shadow down the road. Which 10.3 leak do you have OP? I have 1154. It is awesome to me. Yes, there are very small things but so far......GREAT! Urrrrg this os was NEVER designed for for already in market devices ! Just in case were making a list, add how there's no option to use universal search instead of assistant. But my biggest issue is it was released officially exactly the same as the leak. Same "almost finished " type release as BlackBerry of old. This leak (10.3.0.1154) been out almost a month now. One would have expected them to see the complaints people have posted and added the final touches before releasing it. Been there, done that... same problem. Half baked implementation of genuinely good ideas. Guess that will be the legacy of BlackBerry. Tons of potential, just never got around for putting it together properly. How is universal search different than the assistant? Just type what you want, universal search results are listed as you go. Sure there are additional intent like instant actions listed, but not at the expense of the Universal Search content. the only difference i see is, intelligent assistant is slower (not by much) but i'm fine with it since it's a beta. 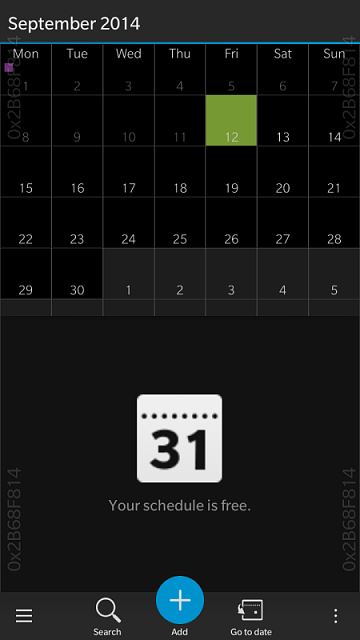 personally I just don't like the calendar UI and the growing numbers is now gone. 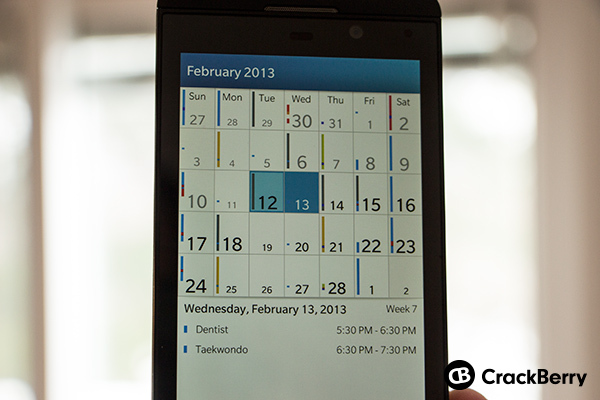 I'll probably grow into the new calendar UI but the old one just looked so clean looking. Because I have to enable full voice assistance to use instant actions. I don't like agreeing to the TOS of full assistance. Also, Universal search automatically pulled up the keyboard when the icon was pressed (I realize this OS is optimized for keyboard phones), and with Assistant, I have to press the text box to evoke the keyboard (Z10). It's not as bad as the calendar, but I hope it improves in 10.3.1 and/or have the option to default to universal search if we don' want assistant. BTW I like 10.3 better than 10.2.1. I'm not hating. I think it's healthy to criticize the OS because BlackBerry is listening to its loyal customers. You do know this is a leaked copy not an official release? The purpose of this thread is for those who chose to upload on to there devise to test, compare things they like dislike about this UNFINISHED Version of the next os update. FYI... this is the latest official os available on the passport (10.30.1154). Like I said my biggest gripe is they yet again released "almost done" OS. Why are you here? Do you simply enjoy confrontation? Because it's clear you do not listen to your peers here. Yea 10.3 is incomplete for in market devices ie. z10, q10, q5, z30 ect. It is most complete for the passport though and is optimised for the passport. It's absolutely stupid (pardon me french) to say a leaked os has bugs and that they should fix them. Because guess what by the time you got the leak chances are they have already been fixed. People like you are the Exact reason companies stop leaking. He meant feature wise it's incomplete, he said nothing about bugs. We have the same features on the existing bb10 devices as the passport. Blackberry is notorious for coming up with amazing ideas but never finishing them. Thank you khehl. Some ppl are willing to accept any old thing and sing it praises as long as it has a BlackBerry symbol on it. Seems no one can voice an opinion on these forums if it doesn't fit with these fanboys skewed point of view. Not happy about lack of support for the Z30.